Frugal Fitness: How Has Sport Changed Through Time And What Can We Expect? From football to hockey, basketball to volleyball, gymnastics to cricket, the world of sport is a part of so many people’s lives as participants and fans. Naturally then, this wide-reaching industry is frequently changing and evolving to improve not only player performance, but fan enjoyment too. How Have Their Outfits Changed? In the very near future, athletes will have greater access to smart-clothing — and no, we don’t mean playing football in tuxedos. These items of clothing will have integrated sensors designed to read biometrics as you go about your activities. Not only will this track information such as heartrate and temperature, but in the next few decades, one smart-clothing CEO claims we could use the technology to pinpoint why a person has developed illnesses such as cancer, be it genetic, environmental or diet. From moisture-wicking clothing to wearable monitors tracking distance, speed, heart rate and more, we’re far from the days of just hitting the track with a pair of trainers, shorts and a vest! During the FIFA World Cup 2018, video assistant referee technology was introduced for the first time at World Cup level. This technology allowed referees to replay video footage of an event in order to support their decision-making. Not only that, but VAR can be used to award or rescind penalties depending on the original decision. It sounds like a sci-fi movie premise, but genetically-edited athletes may not be so far away either. According to one report, part of the increased data-collection capabilities in sport means that gene- based data collection could also be possible soon. This data could show what, if any, genetics make for a top-tier player. This can then be used in gene-editing to help produce faster and stronger athletes — though this has been noted by the World Anti-Doping Agency as a banned substance. What was once dismissed as little more than ‘trying too hard’ at a video game has now blossomed into a sport in its own right. eSports have rapidly grown over the years, with revenue in this area erupting from $130 million in 2012 to $865 million in 2018. Its viewership is even starting to rival real-life sports, with the 2017 World Championship for League of Legends drawing 43 million viewers compared to 44.5 million viewers for game 7 of the NBA finals, according to one report. Those in the know will tell you that, just like with playing football as a hobby compared to playing on a professional level, there’s a huge leap between playing a video game for fun and playing professionally. A lot of it boils down to what gamers call ‘game sense’, which covers what is essentially spatial and situational awareness within the virtual battleground. It is this trait that many think will push eSports players to begin to be treated like athletes in a way, by proving speed and decision-making under pressure. What Does This Mean For The Fans? As technological advances increase, fans have been increasingly able to simulate this feeling of direct and indirect participation without having to buy tickets to physically attend the match. 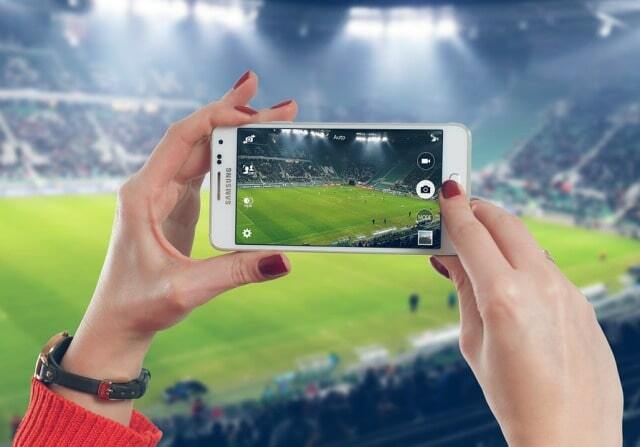 Social media is effectively the digital stadium whenever a big game is on! You might not have known a particularly noteworthy boxing match was on, for example, until logging in to your social media accounts and seeing the hashtag everywhere. In terms of sports, the social media go-to is often Twitter. Though the social media channel is often cited as being in a state of fluctuation, it has certainly found its footing in the sporting world. In 2014, 80% of Millennials checked Twitter, but this fell dramatically by 2016 with only 37% checking Twitter trends. From 2016, the number of daily users began to increase again, rising by 9%. Visitor counts increase in particular during sports events, as seen during the Super Bowl, with an increase of 19% in terms of unique visitors. Event engagement increased 31% with Twitter and recollection of the event in question increased 35%. With its rapid updating, easy-to-track hashtags for events and by-the-second commentary, Twitter is the ideal platform for fans around the world to gather and comment on the sport event at hand in real time. Other than attending a sports game, such technology such as Augmented Reality (AR) would be the closest way a fan can get to experiencing the stadium sensation. There’s still a way to go before these types of virtual reality and augmented reality technology will be readily available and accessible, especially when considering the current capabilities of the technology. The sense of being really in attendance only happens when the action is close to the camera, such as with boxing. For other sports, any action that takes place further away from the cameras becomes 2D and quickly nullifies the sense of emersion. Another element that creates a sense of fan involvement comes from the sporting kit. As CNN points out, these shirt designs have the potential to symbolise iconic moments in history, so they’re naturally a popular way for fans to be a part of that if they are wearing that shirt too. We saw this desire to own a physical representation of an iconic moment in practice at last year’s World Cup, with French fans clamouring to own the latest Nike shirt bearing two stars, representing the country’s two World Cup wins. Could we see a shift in the importance of sporting shirts in the future? Multiple studies have shown how Generation Z, the consumer of tomorrow, places emphasis on footwear when it comes to the coolest part of clothes and fashion. For them, it’s less about the newly released shirts and more about the year’s best cleats! This could be down to a lesser sense of team loyalty, with more of Generation Z following individual sports stars regardless of their team switches. Following the stars rather than the teams also means that Generation Z tends to prefer fantasy sport games to betting on real games, as the former allows them to put together a team of all their favourite players. The future of sport is certainly shaping up to be incredibly exciting and far more varied than ever before. What are you most looking forward to seeing? Tweet us @iFrugalFitness #FrugalFitness with your thoughts and experiences on the evolution of sports. I hope you enjoyed this blog post about how sports have changed over time and what we can expect for the future of athletics. Interested in more articles about sports and fitness?